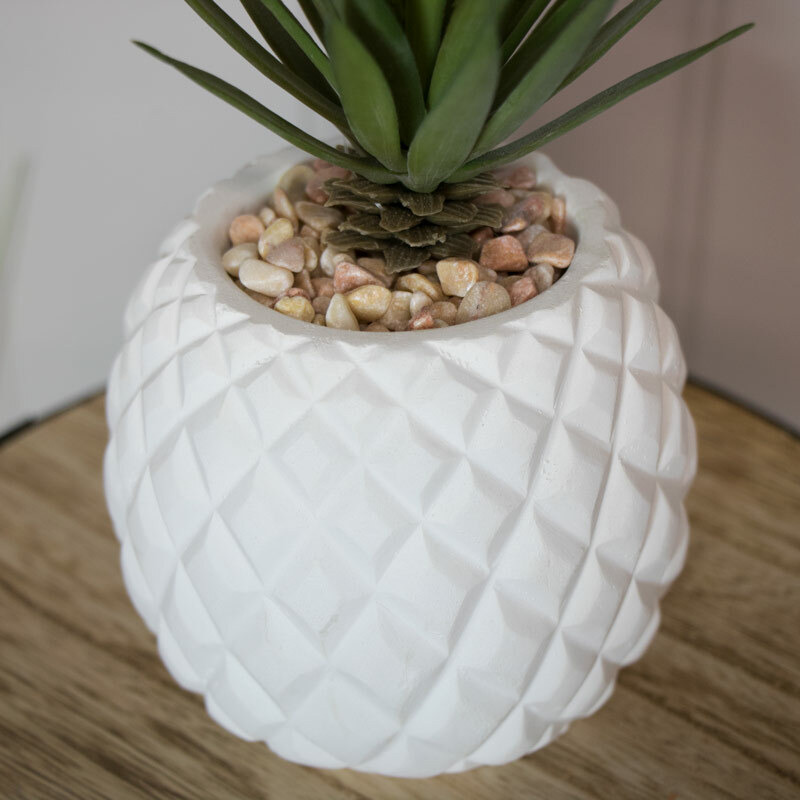 This artificial faux succulent pre potted plant is a perfect must have to add a botanical vibe to your home. Place in the kitchen, living room or even brighten up your bathroom. 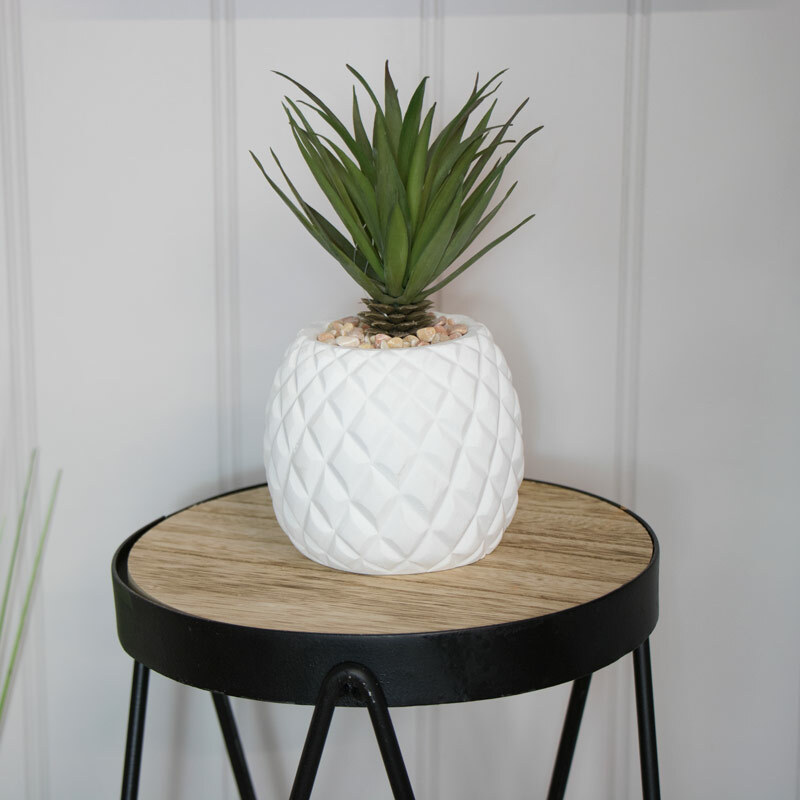 Planted in a pineapple style pot this faux plant makes for a perfect addition to any interior whether your resembled a retro loft or a more shabby chic interior, you can bring the outdoors in with out the maintenance and adding a quirky vibe. The perfect accessory and gift for the green fingered person who does not have time to care for a real plant!